Listening to the CD extras for Jago & Litefoot Series Twelve is interesting, as producer David Richardson and script editor Justin Richards state it was their intention to do something more tightly plotted than previous Jago & Litefoot releases, more one big story than four small ones. 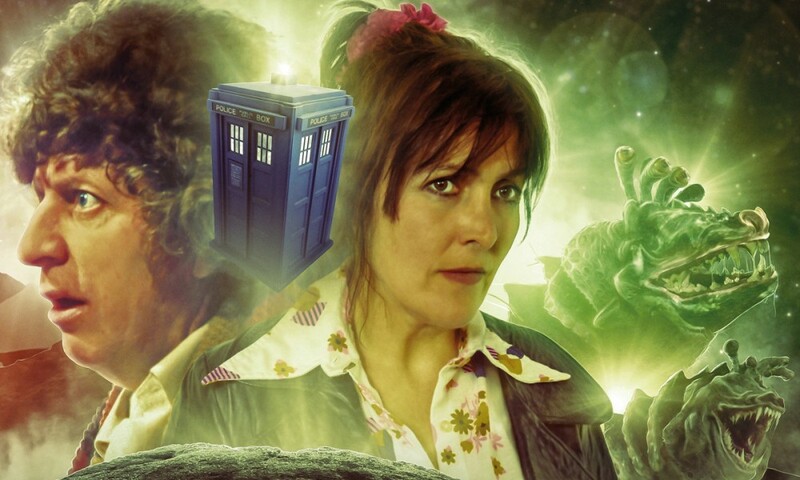 For this reason, there are just two writers/writing teams for the set, more like the way Big Finish ranges like UNIT or the later Doom Coalition boxes are written. But then as things came together, the writers ended up doing four standalone stories with a mild arc element, making it like the previous Jago & Litefoot box sets after all. 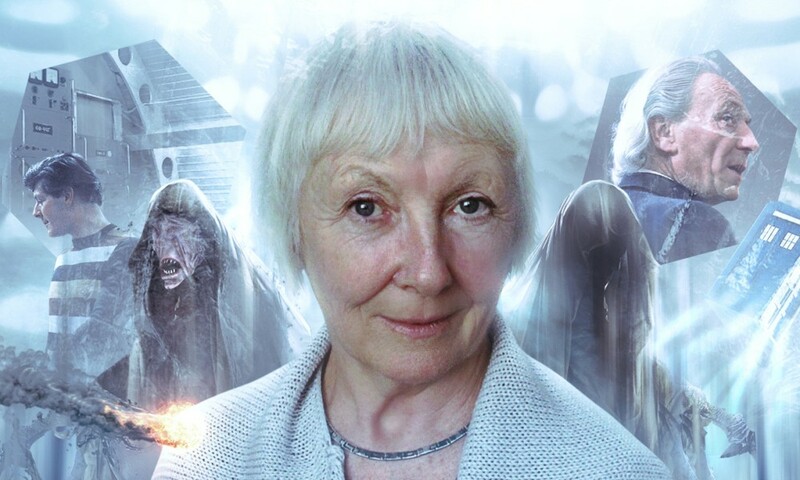 The arc element in question is the reactivation of Ellie “I’ll Never Get a Spin-Off at This Rate” Higson’s vampire gene by the Master in Series Eleven, a callback to her unfortunate encounter with Silver off Sapphire & Steel way back in Series Two — which causes her to seek revenge for the death of her brother way back in Series One! Some deep cuts in this Jago & Litefoot set, and my memory sometimes ached to remember stories I listened to just once, six-plus years ago. Until I listened to the CD extras, I thought Ellie became a vampire in the same story her brother died, but actually her brother’s problem was werewolfism. (Lot of supernatural creatures preying on the Higsons, one supposes.) A little bit more of an in-story reminder could have been of use! Paul Morris and Simon Barnard contribute the next story, The Flickermen. Starting with a cinematographer stealing Jago’s business with his new picture shows, Morris and Barnard come up with an inventive story about strange creatures, new technology, and mothers of lost children. Nigel Whitmey is fun as Robert W. Paul, American showman, and there’s one good, tense scene. Morris flies solo for the first time in Jago & Litefoot with School of Blood, where Litefoot goes undercover as a science teacher at a girls’ boarding school. Add in mysterious killings, Jacqueline King as a stressed-out headmistress, a highly suspicious religion teacher, and Jago being hired as groundskeeper, and you have a fun romp — maybe a little predictable at times, but definitely the best one in the set. The actresses playing the girls (Niky Wardley a.k.a. Tamsin Drew(!) and Charlie Hayes a.k.a. Zoe Heriot’s daughter a.k.a. Death(!)) do a great job sounding teenage; I didn’t even think about their ages until I heard the extras. The finale, Justin Richards’s Warm Blood, is a bit of letdown as Jago & Litefoot finales usually are: a lot of time is spent on banalities, while the actual vampire plot and resolution turns out to be surprisingly straightforward. It’s decent, but not great, largely saved by how good Ronald Pickup is as “the Old One”, most ancient of vampires; he just oozes malevolence with the most simple of lines. I also enjoyed Ronan Vibert as his primary henchman, Ravener. Surely these two were born to play vampires? Director Lisa Bowerman enthuses about Pickup on the extras, and I can hear why. It’s easy to take Jago & Litefoot for granted: just counting the box set stories, we’re now up to 48 episodes featuring the investigators of infernal incidents! 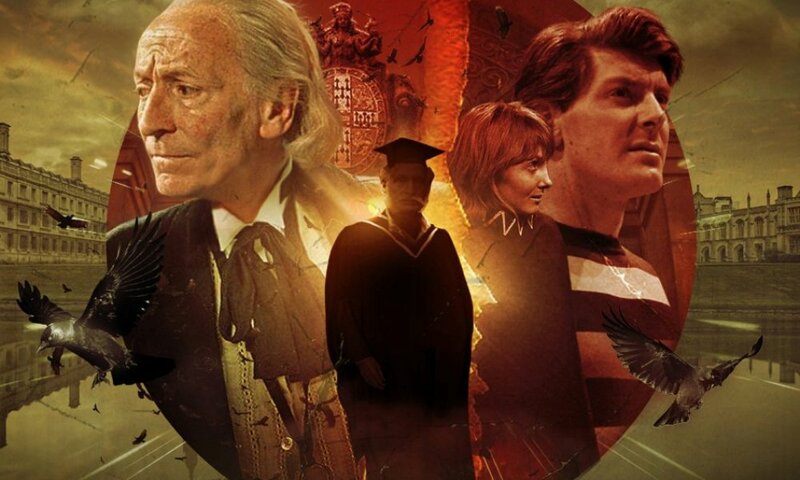 Trevor Baxter and Christopher Benjamin are always enjoyable in the roles, and these stories, especially School of Blood, give them some good comedy stuff to do. But stories like these make it easy to take them for granted — the potential betrayal by Ellie just doesn’t seem as big as it ought, and in the end, this feels like Just Another Adventure for the duo. Decent, but not one of their best. 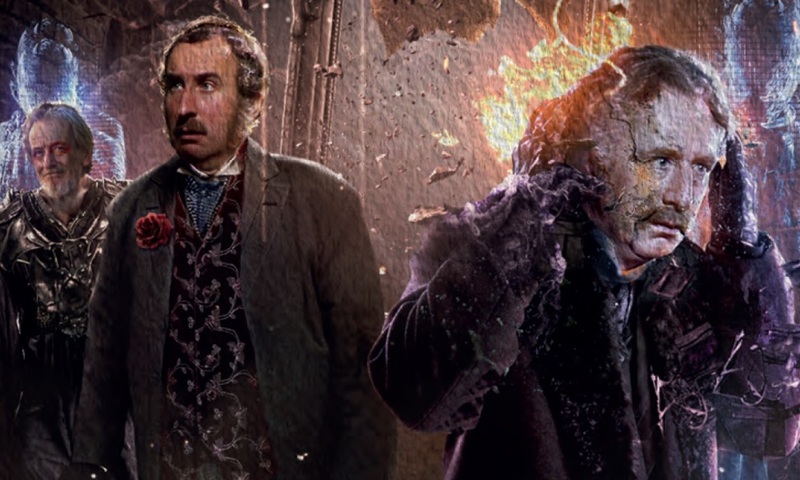 Jago & Litefoot Series Twelve (by Justin Richards, Simon Barnard, Paul Morris; starring Christopher Benjamin, Trevor Baxter, Conrad Asquith, Lisa Bowerman) was released by Big Finish Productions in October 2016.